Our range of products include polypropylene drip valves, drip valve, pp drip irrigation valve, polypropylene drip irrigation valves, drip irrigation valves and pvc drip irrigation valves. 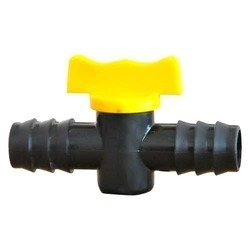 We have established ourselves as a renowned manufacturer and supplier of a wide array of Polypropylene Drip Valves. These products are fabricated by making use of superior quality raw material and ultra-modern technology. All our products are made under the hard and fast compliance with international norms and standard. 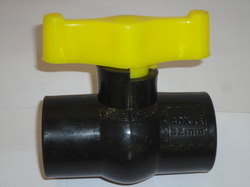 A complete range of Drip Valve in PVC, featuring the “Antiblock” system which prevents ball jamming. Valves are 100% hydro tested prior to leaving the factory, and their reliability is further guaranteed by the world's premier certification institutes. Our customers can avail from us a wide range of PP Drip Irrigation Valve. 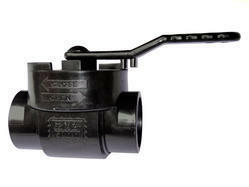 The valves offered by us are widely used in the agriculture sector for the specific purpose of drip irrigation system. 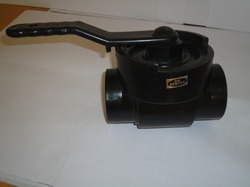 We are the well-known manufacturer and supplier of superior quality Polypropylene Drip Irrigation Ball Valve. The provided valve is extensively used in high-pressure areas in order to control the flow of air and water. We are the well-known manufacturer and supplier of superior quality Drip Irrigation Valves. This valve is manufactured at our sophisticated production unit by our skilled professional using the quality approved raw material and sophisticated technology as per the set market standards. Avail with us is a remarkable range of PVC Drip Irrigation Valves, which are available to us in various shapes and sizes. We have hired experienced professionals to manufacture these products in precise dimensions following set industry standards and norms. We are offering a complete range of PVC Drip Valves.